18 Oct 2018 --- Population growth, enhanced connectivity and demand for sustainability are all key market dynamics motivating Tetra Pak’s trend predictions. 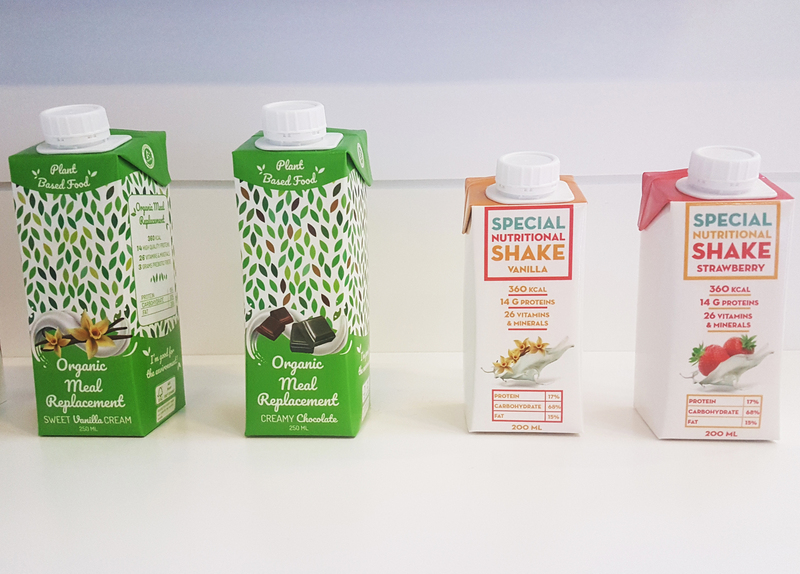 At the company’s recent event, Inside Tetra Pak, held in Lund, Sweden, the company offered insights into how such dynamics are shaping interest in plant-based beverages, water, cheese and food supplement nutrition. 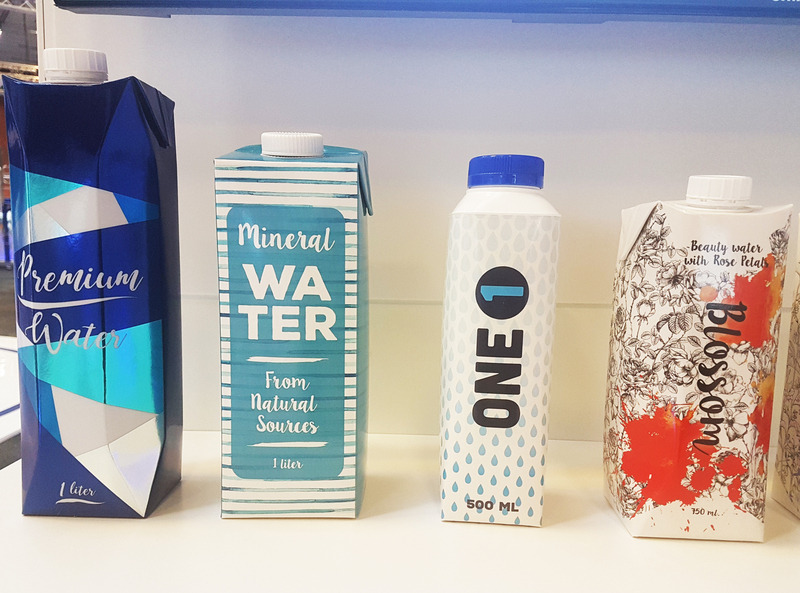 These trends will continue to grow, the company noted, and Tetra Pak can offer ideal packaging and processing solutions to support NPD. Tetra Pak utilizes its market research to craft packaging and processing solutions that fit demand. As presented by Matthew Hatton, Global Director Portfolio Strategy and Planning at Tetra Pak, 60 percent of the world’s population will live in cities by 2030, as well as overall population growth of one billion. Such factors will drive up the demand for on-the-go consumption and convenience, pushed by the rise of active lifestyles and city living. Planning at Tetra Pak presents key trends. Further, Generation C, or Generation “Connected” is a large and growing demographic who are connected and influence each other. Regarding NPD, they are of imperative importance as they influence each other with shared opinions on brands and products, proving themselves as powerful shaping forces, Hatton described. Generation C is also driven by sustainability and will continue to demand products and packaging from more sustainable sources. The subcategories within this group include rice, grain and seed drinks. Hatton notes that environmentally concerned consumers will be increasingly turning towards plant-based beverages for nutrition, ahead of dairy options. One example of a company who engaged with the move from dairy to plant-based, with Tetra Pak's help, is Kaslink. 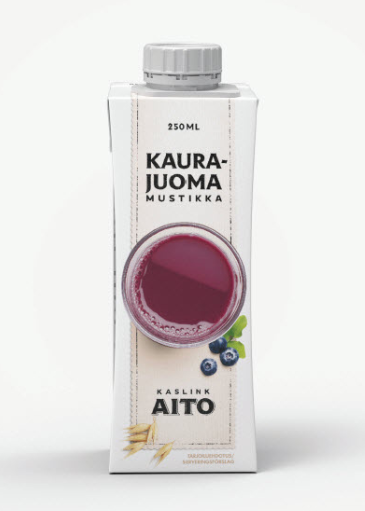 The Finnish company produced its oat-based drink with blueberries in Tetra Pak’s Tetra Brik Aseptic Edge carton package. Indeed, plant-based beverages have been a category experiencing massive growth for some time now, and it is not expected to stagnate. Plant-based product claims have increased by 62 percent globally from 2013 to 2017, according to Innova Market Insights data. 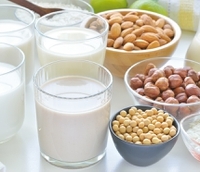 “The dairy alternatives market has been a particular beneficiary of this trend,” says Lu Ann Williams, Director of Innovation at Innova Market Insights. With the growing availability and promotion of plant-based options to traditional dairy lines, specifically milk beverages, and cultured products such as yogurt, frozen desserts and ice cream, she adds. Read more on this topic in NutritionInsight’s report. Within the food supplements and nutrition space, Hatton identified four areas: Medical foods, special dietary requirements, sports nutrition and meal replacements. The NPD area forms a "six billion liter opportunity" which the company expects to grow by 25 percent in 2021, particularly being driven by on the go culture, Hatton noted. The market in the US is particularly strong and this will see 50 percent of the growth. Liquid nutrition options, such as premixes, have been growing, especially as part of the battle against the phenomena of pill fatigue. One such supplier is SternVitamin, who will be at this year’s SupplySide West (SSW) in Las Vegas, showcasing a range of micronutrient premixes for different target groups and life situations. The meal replacement brand Huel was reportedly one the fastest growing companies in the UK, with revenues of over £14 million (US$18.6 million) in 2017, demonstrating a wide appetite for liquid nutrition. The cheese category, which includes spreadable and spoonable cheese, is a two billion kilo per year market, according to Hatton. While cheese products are established in many developed markets, the emerging markets hold incredible potential. As the emerging market potential ripens, Tetra Pak was touting its a powder based spreadable cheese that lends itself well to UHT treatment and aseptic packaging. This is a prime advantage in markets where chilled distribution may be difficult or impossible. Hence it’s potential in the Middle East, Africa and Central and South America. A further challenge in these areas will be affordable packaging. This means focusing on small or single-serve carton portion packs. Tetra Pak predicts that 80 percent of beverage offerings in the beverage category will be in the waters space by 2021. The category includes flavored waters and functional waters. This growth will be partly driven by consumer concerns over sustainability and also through the ease of consuming water – especially if it is packaged sustainably. increasingly avoiding plastic water bottles. The ongoing innovation in the water category is driven by consumers who want more than just hydration from their drinks. Innova Market Insights has reported that flavored or fortified waters are rising as a share of soft drink launches due to their light fresh and healthy image. Beyond fortification, like vitamin waters, the category is expanding to include plant-based waters. 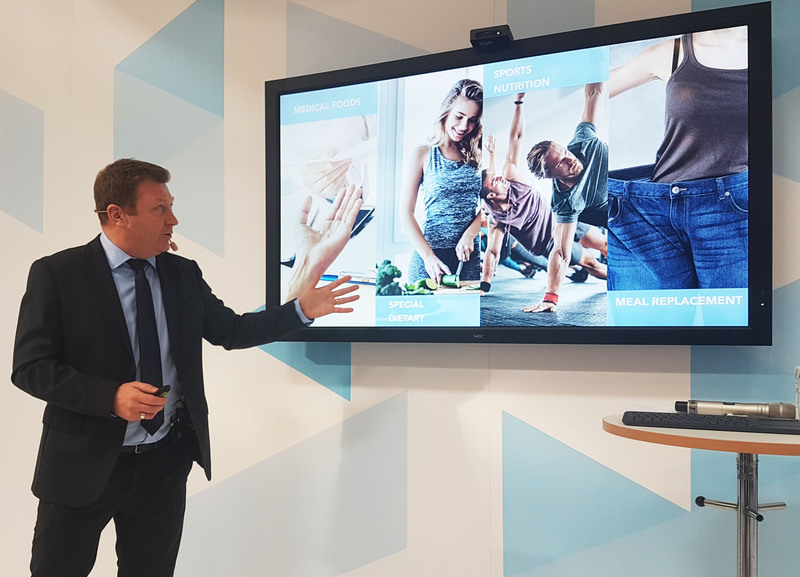 FrieslandCampina DMV’s Diderik Moerdijk, of Marketing Performance Nutrition, similarly noted in a recent NutritionInsight webinar entitled, Beyond traditional lifestyle nutrition: Moving with the times, that protein water would be a category ripe for NPD. 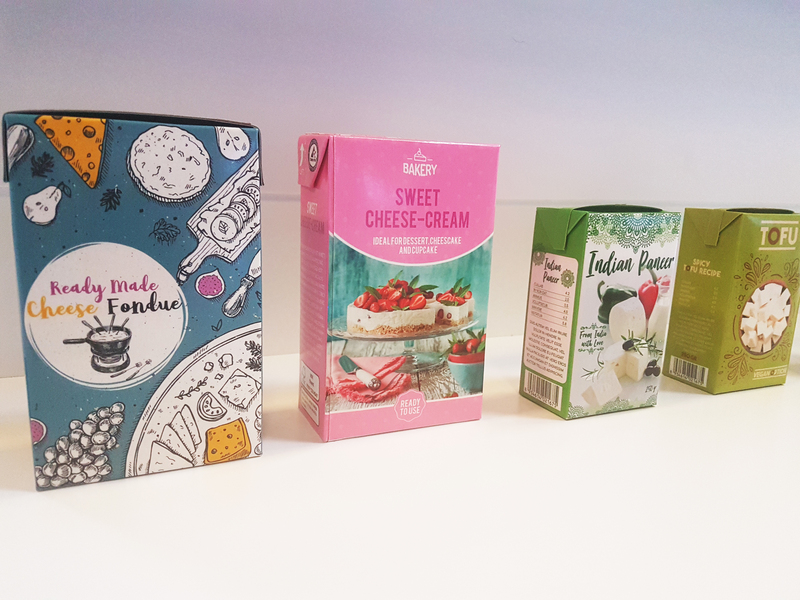 Tetra Pak displayed its end to end capabilities in providing producers with the means to tap into these trends, such as packaging, filling machines and processing applications. Customers who have an idea but lack the means to realize it can use Tetra Pak’s R&D capabilities at one of its Product Development Centers. The centers offer pilot plant facilities, product trials, in-house testing, food technologists & engineers and packaging & processing equipment. Also on display at Tetra Pak’s event was a wide range of its carton packaging offerings. PackagingInsights gained an insight into some of the main themes driving its packaging innovations. Watch the video with Lars Bengtsson, Vice President of Carton at Tetra Pak here.